With all products the aesthetics are an essential starting point in marketing and branding efforts. 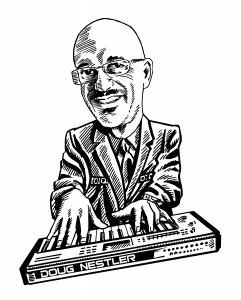 For guitar effects pedals this is especially true since musicians look to their gear for creative inspiration. Pedals are assets that create a guitar player’s unique sound and add to an onstage persona, so of course they should look cool! Looking cool also has benefits in the marketplace. With an endless number of effects options available, unless a customer is seeking out that specific germanium diode variant overdrive, catching a player’s eye while scanning the cases and displays gets the ball rolling. An attractive product can also play a role in marketing a company’s overall brand. A standout pedal commands earned media by having bloggers and publications reviewing it and talking about it on their social media channels, sending engaged readers back to the manufacturer’s website. What determines a visually cool pedal design? It could be an unusual shape, sophisticated graphics or a complicated labyrinth of knobs and switches. Anything that grabs attention and gets your feet stomping is cool. Here are seven guitar effects pedals that have the look. Z. Vex pedals always coax further exploration. The bright colors and hand-painted artwork really attract attention with consistent designs that are instantly identifiable as Z. Vex products. 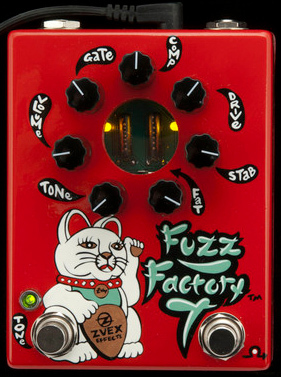 The Fuzz Factory 7 is no exception. This special edition of Z. Vex’s flagship gated fuzz pedal takes it to the next level. The larger box size, lit up transistor window and circular knob layout really make this a cool stompbox. 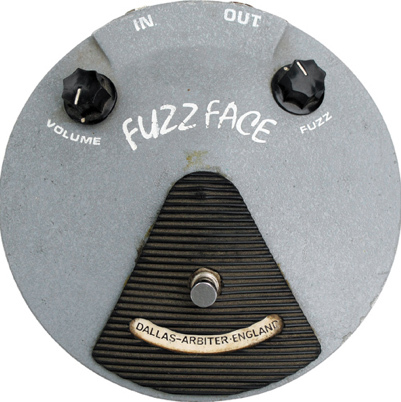 One of the most recognizable guitar effects of all time, the Fuzz Face really stands out from the crowd. First of all, as the name implies, it’s a face that’s smiling at you. The circular enclosure might not fit nicely on a pedal board, but it definitely makes an audience take notice on a stage. This effect’s word-of-mouth following has snowballed into a life of its own and even artwork inspiration for Klon’s current KTR pedal. 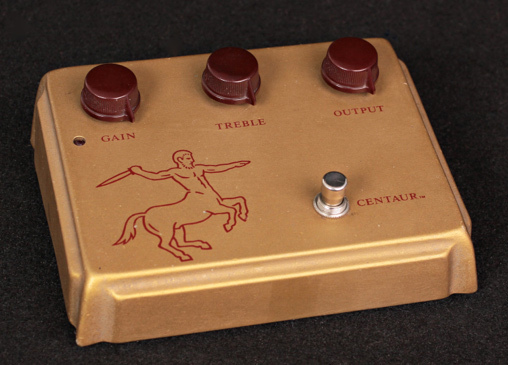 I’m sure the original rudimentary drawing of a badass centaur wielding a knife helped set its place in guitar effects pedal lore. Combining that with a custom heavy metal casing and blood red knobs makes this the complete package. Before guitar effects were known as “pedals,” they didn’t always have to be stomped on. 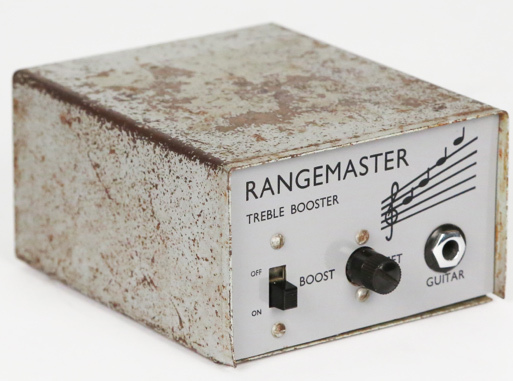 The Dallas Rangemaster was an effect that sat on top of your amp and couldn’t be adjusted on the fly with your feet. Having that small box on top of the amp, though, definitely makes a statement to your sound. Who knew reverb was so complicated. 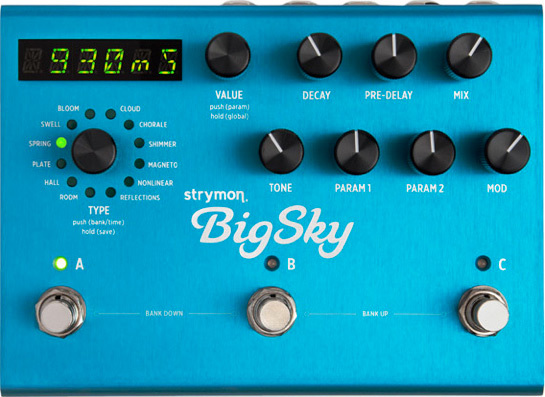 The Big Sky really gives you all the options a reverb can provide. The sleek blue box has the look of a new stainless steel appliance covered in protective plastic wrap. The digital display and myriad of options make this a high-end coveted device. A truly fun effect should have joystick controls. 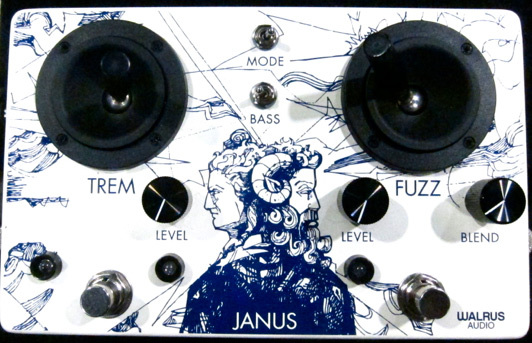 This one does and with Walrus Audio’s recognizable illustrated artwork and dual fuzz and tremolo effects combines to make this a very cool pedal. 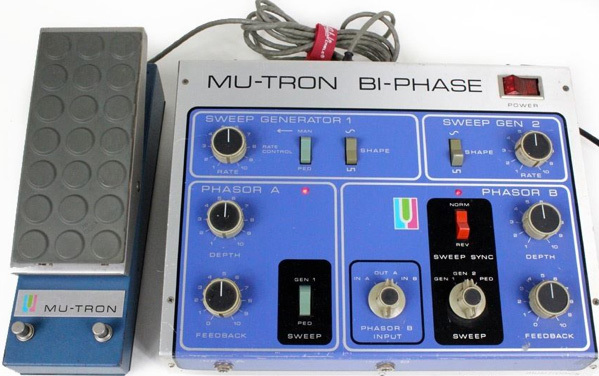 This phaser has all the knobs and switches and ’70s psychedelic mojo you could want. It even has an external expression pedal. Any player looking for a funky vibe will notice this pedal. The guitar effects market is a cluttered and competitive environment, but strong product design always stands out. Being the first thing a guitar player reacts to, design is a critical tool for promoting and reinforcing a music brand.